MODERN ADDRESS Located at Hwy. 61 and Co. Rd. 4 in Oneka. 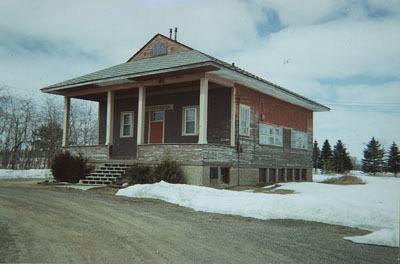 The school was used as a youth center for awhile after the school closed. The district was formed from districts 44 and 51. The school was 30 ft. long by 20 ft. wide and 10 ft. high. Enrollment in 1898: 28 students. A new building was built in the 1920s and called Hopkins school. Possibly two different schools at one time in the 1930s. The school closed in the 1950s.